Choose from a large selection of fashion clothing for the family - but it doesn't stop there. 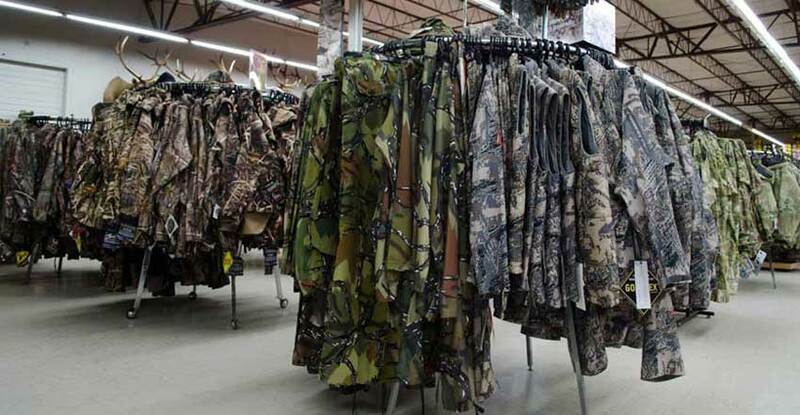 Outdoor wear, work wear, Western clothing, hunting clothing, and coats for gents, ladies, and children, even raincoats. With many top brands to choose from you will find quality products at affordable prices. With over 65 years of apparel experience, Smith and Edwards has new jeans and shirts for the entire family. You'll never be too hot or too cold with apparel from Smith and Edwards. We'll make sure you're just right! With clothes for the whole family - men's, women's, and kids' clothing - you'll find brands and styles you love at great prices. Craig knows what you need because he lives it! As an outdoorsman & two-time steer wrestling champion, Craig's spent the last 10 years finding the best rodeo, hunting, & work gear so you can work hard & play hard.